As a blogger, I sit at a desk for a substantial portion of the day. I also suffer from back pain and tense shoulder muscles on a frequent basis, so a good desk chair is a must have. While my desk is currently tucked in a corner of our living room, soon it will have home of its own. 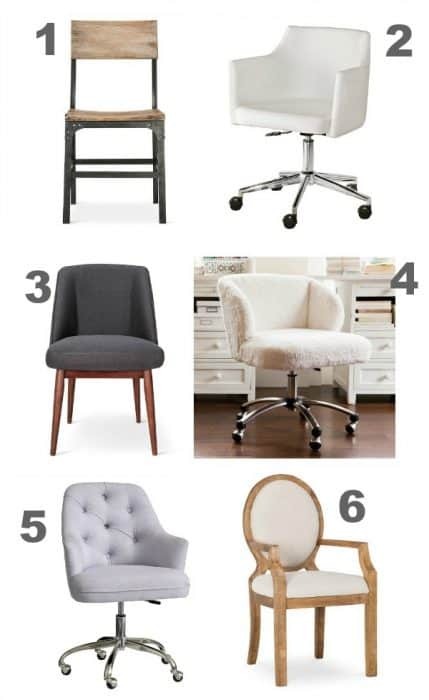 I have a very simple office makeover planned that will move all my blog “stuff” out of the living room and into a designated room. 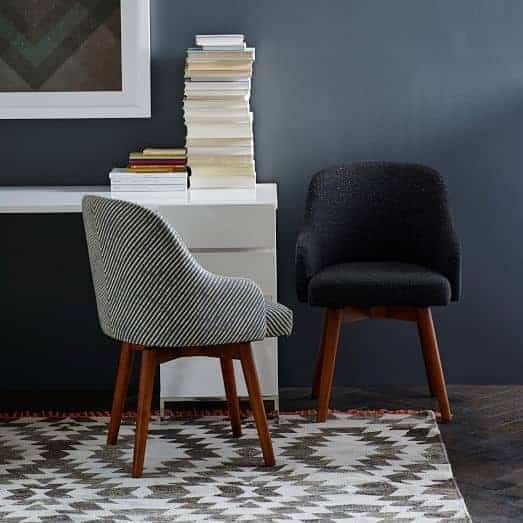 I already have a nice white parsons desk (from Crate & Barrel but no longer available) and plan to purchase a simple shag rug. But I did not have a nice, comfortable yet supportive chair. Alas, I will not be shelling out $400 on a chair any time soon. So I went in search of some equally beautiful but slightly more pocket friendly options. Can you guess which one I bought? Did you guess correctly? Or would you have chosen a different chair? I’m so excited for all the painting to be done in my house so that I can start working on my little office. Although, I should probably finish the living room first, right?! Number four looks so cool! All of these are super stylish, though. It’s good to have a chair be that and comfortable as well.